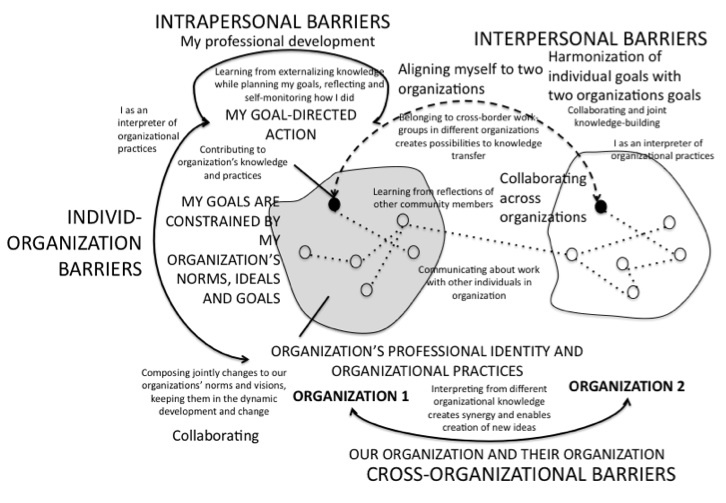 Erik Duval’s topic for Change MOOC this week was Learning in a Time of Abundance , which he equates to changes in connectedness (we can be more connected to people and information than ever before), openness and transparency (access and resources) and ‘always on’ (e.g. students access their online connections 24/7). See also – http://erikduval.wordpress.com/2011/11/13/change-11-learning-in-times-of-abundance/. Here are some notes I made during his session. His classroom has no walls – anyone can ‘break in’. Learning is about working with wicked problems as happens in the workplace. His main advice was to ‘Let go’ – of fake control. 2. Any examples you can identify or think of where openness would be more of a problem than an opportunity? I think a learners’ ability to leverage abundance for learning depends on whether they have the knowledge, skills and strategies for pulling information in, rather than going out to go out and look for it – and this of course involves the ability to filter (beware the filter bubble – http://www.thefilterbubble.com/ted-talk ) analyse and select. The pulling in also requires technical skills that are maybe taken for granted by those ‘in the know’ and knowledge of the softwares that will do this for us. It will also depend on a learners’ networks and connections. The question does seem to assume that leveraging abundance is desirable and will lead to better learning. On what grounds can we take this stance? Could we argue that it will just lead to a huge muddle and confusion for the poor learner? I don’t believe this – just playing Devil’s Advocate. As far as an inspiring example of where this happens – I don’t think we need to look much further than Stephen Downes, MOOCs and OLDaily. 2.Where would openness be more of a problem than an opportunity? I can see that the ‘filter bubble’ would be an example of this – but from a personal perspective I would say – any situation where the outcome would be harmful to society, the environment or the individual. Of course, determining what we mean by ‘harmful’ will be open to different interpretations and there’s the rub. How do we decide? In discussing this with a close friend this morning, we thought of examples where this has cropped up in the past. One is a colleague who was a Principal of a Higher Education Institution, whose firm belief was that all information in his institution should be open – he didn’t believe that anything should be ‘hidden’. A second was a colleague who is working as a management adviser to a hospice, where the question of what information should be open and what should not has been a focus of recent discussions. So I’m still thinking about all this – and looking forward to Erik’s next session, which I might not be able to attend at the time, but will listen to the recording. (Stephen Downes’ model in black font) Overall question which I shall come back to later is: How do the recent MOOC/open course designs foster learner autonomy and from the learner perspective, are they successful in this? I interpret this to mean that any consideration of autonomy must recognise that learners bring with them prior experience on at least three levels. This has a ‘constructivist’ learning theory feel to it. The ways in which learners recognise, interpret and experience autonomy will be influenced by their prior experience. Learners can probably be helped with these by their ‘teachers’ because they are externally recognisable and ‘measurable’. I interpret this to mean that a learner’s experience of autonomy, or ability to act autonomously (bearing in mind that this is not a constant state) is influenced by their ‘internal’ mental state, frames of reference. This may not be visible to the teacher and therefore may be harder to influence, from a teacher’s perspective. This seems to relate to ‘independent’ learning – which has been raised in past research. Autonomy is interpreted in a variety of ways and independence is one of those. My husband is disabled and I know the importance of independence as a pre-requisite to autonomy. They are not the same thing. The conditions have to be right in order to be able to make decisions/choices. This is interesting and I am still thinking about it. This relates to the social constraints of our personal circumstances – so for example my mother married an extremely Victorian man who believed that women should not go out to work – her role was to support her husband (which she did extremely effectively) – but her autonomy in terms of her choice over how she could express her talents was controlled by someone else. Whilst this particular example might not be so common today – autonomy can be restricted in these circumstances. I interpret this as relating to organisational constraints. The organisation in which a learner works may not be able/capable of coping with autonomous learners. An example of this is when University staff are not permitted to use certain softwares within their courses. There might be good institutional reasons for this but it stifles innovation and learner autonomy. This is similar to the above point in relation to organisations. My son who is doing music technology and cannot do the modules he wants to because of lack of University resources (staffing) is an example of constraints on learner autonomy. But there will also be other constraints on a personal level. In CCK08 and other open courses we have seen how participants whose first language is not English experience constraints on their autonomy. I’m assuming that mode of presentation might be related to ‘learning styles’ although I know that some people don’t believe that there are such things as learning styles. Shall we call them learning preferences instead? – of associates – can you choose your friends? Family? – communication options – do channels exist? Can they be open? This section seems to me about the choices that learners can make and the extent of those choices. CCK11 has probably offered more choice than any prior open course. My brief reading of research however indicates that designing for autonomy does not mean that teachers abdicate responsibility for their learners and I will be interested to see how the CCK11 course design balances learner autonomy with ‘teacher’ facilitation and whether even minimum teacher facilitation will be perceived as a constraint. This section feels to me a bit of a departure – it is not about what autonomy might mean to the learner or how autonomy is experienced, but how we might ‘measure’ its effects. How will we know when we are autonomous learners? How will teachers know that their course designs which attempt to promote autonomous learning are successful? This is my first response to Stephen’s model. I am aware that I have probably not done it justice. I now want to see how CCK11 and other open courses have been designed with these ideas in mind and also how this model compares with the other models that Stephen posted on his blog. On one side we are urged to increase our connectivity – we are told that all learning starts with a connection, to learn we need to be well connected, to keep up in a fast moving digital age we need to know how to filter, select, aggregate, remix, repurpose, feed forward. We are urged to be open and connected, and to become involved in global networks. It is not enough to simply join these networks and observe – this is regarded as ‘taking’ – we must share, create for the benefit of others and reciprocate. On the other side, when people stop to think about it, such as over the Christmas break, there is a realisation that all this connectivity can very easily get out of control and become an unbearable burden. Blog posts by Will Richardson and Beth Kanter both discuss this from different perspectives. There has been a discussion on Quora to which George Siemens contributed and we have been reminded in some posts of Clay Shirky’s suggestion that information overload is a consequence of filter failure. Of course, as soon as people have a break – such as we have just had with Christmas and New Year – it suddenly hits us that there must be more to life than …… whatever it is that puts our life out of balance – such as has been perceived in recent online discussions and posts as an imbalance between connectivity and information overload. But I’m wondering whether it is information overload that is the problem. Isn’t it more a lack of understanding about what we mean by connectivity and what role connectivity should play in our lives and learning? It seems that it is often interpreted that more connectivity is better – more connectivity means more learning, more connectivity means being able to keep up. But is this true? Would an answer to this question sort out the information overload problem? I want to thank Heli for posting this video link to a talk by Dr Brene Brown. Brene Brown is certainly a gifted speaker and as Heli discusses with John Mak on his blog – vulnerability is inside everyone. I think this would be hard to deny – especially in relation to online connectivity. I have watched the video a couple of times and have thought about it a lot. I have also heard an alternative perspective from a valued friend and have come to the conclusion that the problem with these talks is that they play on our emotions to the extent that it’s difficult to see the wood for the trees. Connection is why we’re here. It’s what gives purpose and meaning to our lives. … the ability to feel connected ….. is neurobiolically how we are wired – it’s why we are here. And then she goes on to talk about the vulnerability of those who feel disconnected and the reasons for this. She is a very entertaining speaker, so it is easy to be swept along on the emotive wave of her talk. But the thing is that her talk was based on the massive assumption that everyone wants connection. I can see that those who want it and feel disconnected might have the problems of vulnerability that she describes – but what if you don’t want it? Or alternatively – what if your personal interpretation of connection is connection to concepts rather than to people. Brene Brown talks about us being neurologically wired for connection – but that does not mean that these connections have to be social. To me it seems that the emphasis in connectivism is often on social learning and social connections. My friend and colleague Matthias, has discussed this on this blog (see for example this blog post – http://x28newblog.blog.uni-heidelberg.de/2008/11/23/cck08-conceptual-and-social-layer/ . Personally I very much enjoy discussions with close friends/colleagues about mutual interests, so I am not anti-social – but I am aware that the extent of my social connection is very small compared to others on the web. I have no need for a wide circle of friends or connections and I respect those who prefer to be connected to concepts rather than people. So it seems to me, that if we are talking about connectivity, we need to first surface some assumptions about what it means.